John Thornton is bringing fiber optics to Marion County. A stone wall marks the entrance to Jasper Highlands. 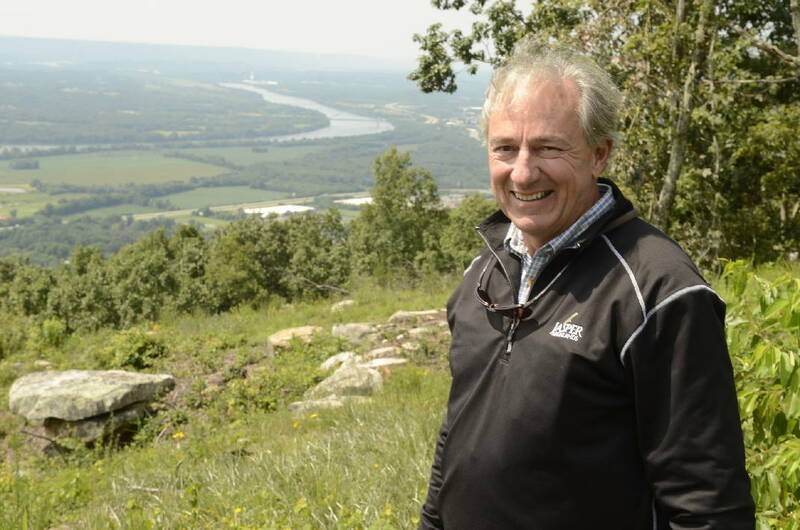 KIMBALL, Tenn. — John "Thunder" Thornton is a lifelong Tennessee fan, but when the Chattanooga developer needed high-speed Internet service for his mountaintop residential development in Marion County he headed south into Alabama to roll with the tide of a different set of regulations. Unable to gain high-speed broadband at what he deemed an affordable price from AT&T or Charter Communications and limited from service extensions from EPB's ultra-fast Internet in Chattanooga, Thornton created his own Internet service provider last year. The private developer spent more than $400,000 to build his own fiber network and link it with a power cooperative in Stevenson, Ala., where fast broadband is available. Using the fiber optic system that the North Alabama Electric Coop created to help set up a Google data site at the shuttered Widows Creek coal plant, Thornton announced Thursday his Jasper Highlands near Kimball, Tenn., is now able to offer high-speed, gigabit-per-second Internet service for all home sites in his 3,000-acre complex. "Welcome to 'Gig Mountain,'" Thornton told enthusiastic supporters Thursday at the new offices for his Jasper Mountain development. "With the band of clouds around Jasper Mountain today, we literally are now a digital island in the sky." Thornton said he invested more than $400,000 of his own money to build the new Internet provider known as Hi-Tech Data LLC and connect it to the North Alabama Electric Cooperative five miles away with assistance from Tennessee-based Sequachee Valley Electric Cooperative. Fiber optic lines for the last 2,000 feet up the mountain for the new Gig service were laid by Hi-Tech Data to allow homeowners in the development to enjoy some of the fastest Internet speeds in the country. "Recognizing that regional economic development support is a win-win for everyone, we were more than eager to help Jasper Highlands with their connectivity," said Bruce Purdy, the chief executive of North Alabama Electric Coop. "We would welcome the opportunity to work with more partners in bordering states. Fiber is the future." Alabama is one of 31 states whose legislation does not restrict municipalities or power cooperatives from offering broadband service. Thornton decided to build his own high-speed Internet service after trying unsuccessfully to convince Tennessee lawmakers to back a bill that would have allowed EPB Fiber Optics to expand its ultra-fast Internet service — capable of up to 10 Gigs — to neighboring territories outside of its power service region. Thornton said high-speed Internet "is not a luxury, it is a critical necessity" that many home buyers now expect to be available at their residences. "Over the past few years, I've had very little confidence in the majority of our state legislators supporting rural broadband expansion which, in essence, is stifling our children in getting a quality education and creating an unfair disadvantage for existing business growth along with our overall economic development efforts," he said. 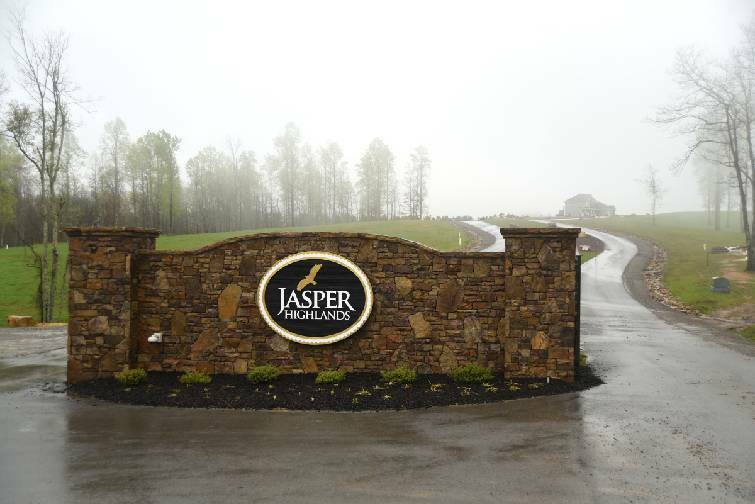 "From day one, we knew how critical of a priority it was for Jasper Highlands' residents to have access to the Internet to be able to keep up with the demands of modern-day living." Michael Cunningham, who moved last month to Jasper Highlands from Florida, said he needed high-speed Internet service to work remotely with the corporate headquarters for his software company in Bellevue, Wash.
"John Thornton completely understood the critical necessity of gigabit Internet service and had the fortitude to get it here," he said. The Tennessee General Assembly considered legislation this year to allow municipal utilities that provide telecommunications services, such as EPB, to extend their service into other parts of the state if invited by the local community or utility. AT&T, Comcast, Charter and other investor-owned telecom providers object to having government-owned utilities enter their service territories, claiming such public utilities have an unfair borrowing and tax advantage over private companies. State Sen. Janice Bowling, R-Tullahoma, chief sponsor of the bill to allow municipal broadband service across Tennessee, blamed pressure by AT&T's 27 paid lobbyists in Nashville for killing her proposals. AT&T officials were not immediately available Thursday, but Gov. Bill Haslam said additional study is needed to help develop a comprehensive statewide solution to the state's telecommunications needs. Bowling vowed to pursue her measure again next year and to push for companion legislation to allow power cooperatives such as Sequachee Valley Electric Cooperative to use fiber lines they have built for electricity controls to also offer better broadband service. "Assuming I get re-elected this year, this will remain one of my top priorities, and I'm hopeful we can remove these governmental restrictions and allow more competition and service to expand across Tennessee to help all of our people," she said. The Legislature delayed any decision on Bowling's measures until studies by the Tennessee Department of Economic and Community Development and the the Tennessee Advisory Commission on Intergovernmental Relations are completed later this year. The Federal Communications Commission voted 3-2 last year to strike down Tennessee's limits on municipal broadband, claiming such state laws are contrary to the FCC mandate to promote more broadband service. But the FCC authority to overturn state laws is being challenged in federal court. Thornton said when he approached AT&T about providing Gig service to Jasper Highlands he was quoted a price of $1.3 million to serve his mountaintop development — more than three times what it ended up costing Thornton to build his own network connected to Alabama. "Our costs are much less, but then I don't have to pay for 27 lobbyists in Nashville like AT&T does," Thornton quipped. Monthly rates for Hi-Tech Data's services compare to EPB's prices at $69 for 100 Mbps and $79 for 1 Gig. Thornton said the new Internet service provider— now the only provider in the area— supports future expansion to neighboring residents and also encourages competitors to enter the market in the region. "We want to be fair to everyone with our pricing, and I'm certainly willing to do what we can to bring more Gig service to all of Marion County," Thornton said. "I'm probably the only Internet service provider president who wants more competition, but I know that would be good for this entire area and that would only help our development." Jasper Highlands has sold nearly 300 parcels and 25 homes have now been built atop Jasper Mountain. Dane Bradshaw, president of Thunder Enterprises, said his goal is to sell another 300 lots this year. "We've been working long and hard for this Gig service and this is an exciting day to see this now in operation and to have this feather in our cap," Bradshaw said. "Most importantly, though, I hope it sends a message to the Tennessee Legislature about what needs to be done in our state." Contact staff writer Dave Flessner at dfless ner@timesfreepress.com or 423-757-6340.